Cafe Press - Raven Apparel and More! Thanks to all the sponsors, fans, and volunteers for the support this year and every year! We are looking to add coaches, players, volunteers and sponsors for 2019 and beyond. 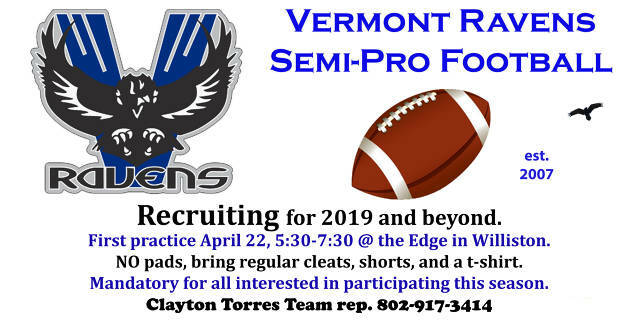 Contact Clay Torres for information. 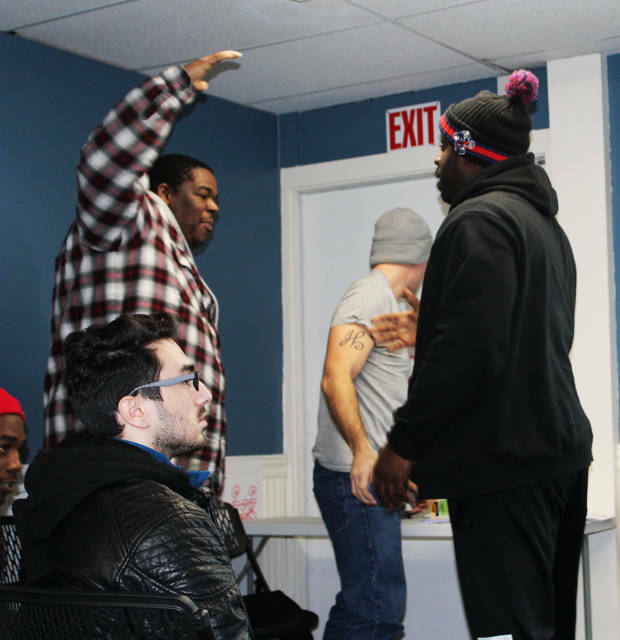 Flashback to some inspirational moments. On a day where the Ravens win a game 33-8. On a day when the offense racks up 318 total yards and the defense only allows one score. On a day when the Ravens get back on the winning track improving to 4-2 on the season you would think that the game would be what everyone would be talking about on the way home. Well, usually, but not this day...not even close. 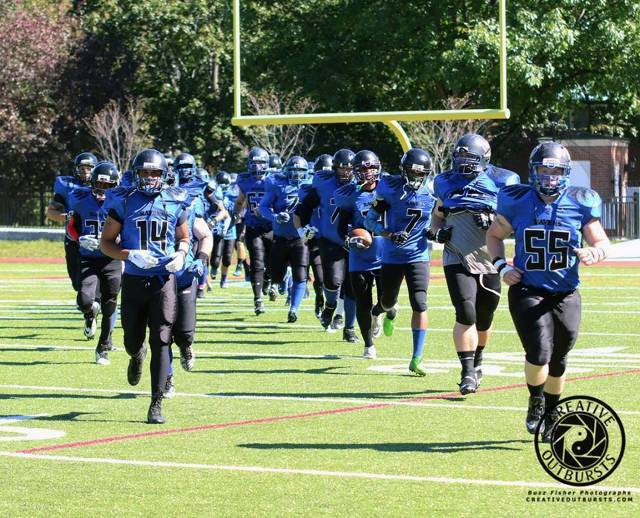 Putting everything into perspective was the cause for which the game was played at BFA - Fairfax High School. 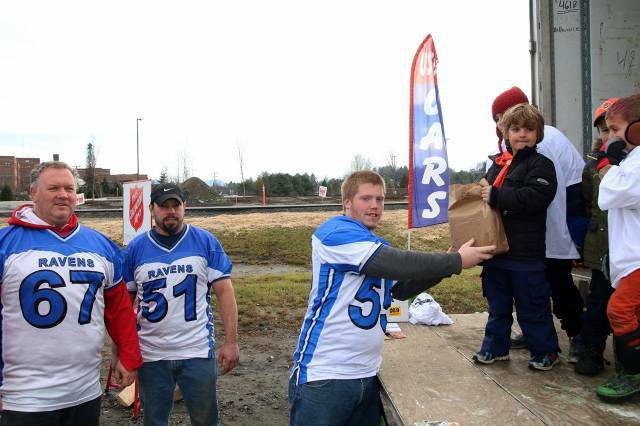 The Ravens along with fellow New England Football League member, the Southern NH Beavers from Manchester, NH, teamed with the school system and community from Fairfax to raise money for a very worthy cause. Together in all over $4000 was raised and given to the family of Fairfax student Delaney Sweet - Werneke, who is currently battling a rare form of cancer called Osteosarcoma. Everyone involved felt a sense of pride and purpose knowing that they helped a fellow human being and her family in only a way that we not in the medical profession can help. By attempting to allay some of the financial burden that can only be described as sometimes overwhelming for a family going through the process of battling a life threatening disease. 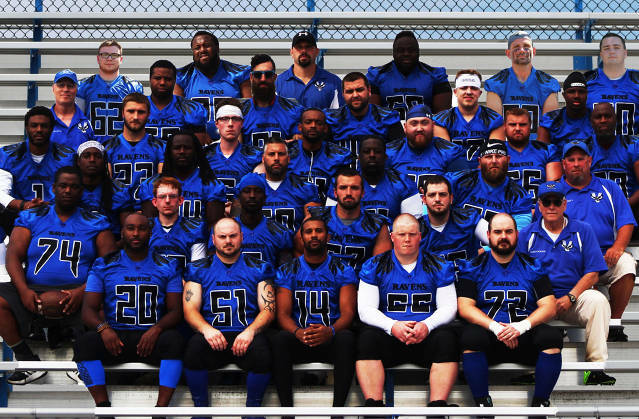 The entire organization contributed as team owner Jim Buzzi, Head Coach Pete Everett, players, and support staff all got involved. The community came together and supported the effort as many came out to the game. T-shirts, bracelets and concessions sales were all donated along with the raffle money. All in all it was very inspirational event to be a part of for all involved. Unfortunately Delaney could not attend, but her father Bill Werneke and her little sister were there representing the family. Coach Everett was able to visit with her and her mother after the game and let her know that she has "40 big brothers" that are with her, as she endures her courageous battle. The game itself with the Ravens playing the Beavers was entertaining, at least from a Vermont perspective, as the Ravens got back on the winning track with a resounding victory. waiting arms of Linebacker #57 Nolan Callahan and Defensive Tackle #93 Lloyd White. Please be on time and ready to go. Coach Salmon via text or leave a voicemail! 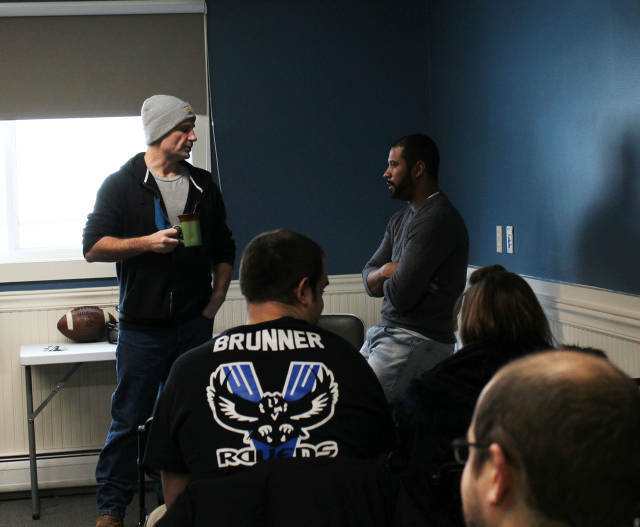 Veterans and rookies alike attended the recent Informational meeting held in South Barre. 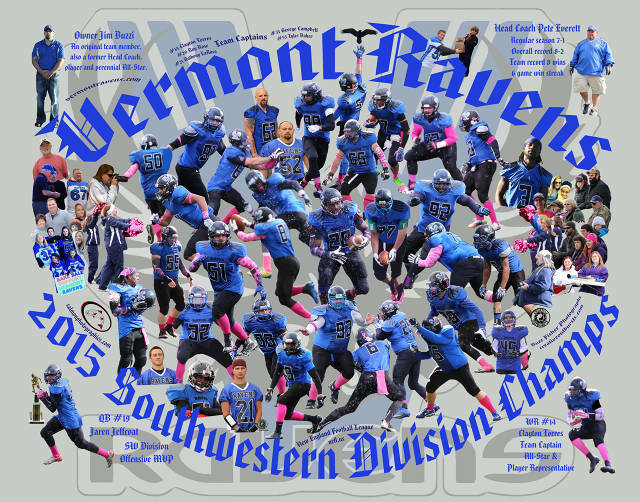 April 22nd some Ravens went down to Leominster MA & represented in a charity game for drug addiction. The fields are all cleaned up, a winner has been crowned and a total raised has been calculated. For the 2nd time Beer$ has won the tournament. But better yet, total raised $23,199.60 for the families of Garrett Peace and Ryland Houle! Link here for Buzz's complete shoot. 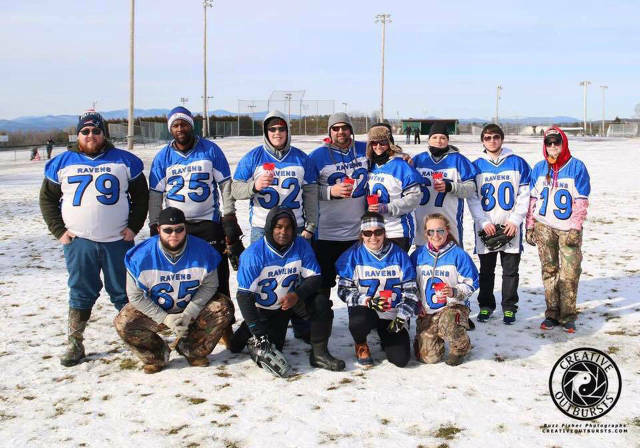 Veteran Raven team member OL #75 Jeffrey DeForge has assembled a team to represent the local semi-pro football team in the tradition rich Freezing Fun for Families Winter Co-Ed Softball Tournament. Started in 1999 the charity was formed by Cass Bresette to help raise money for Vermont families that have a child battling a life threatening illness. 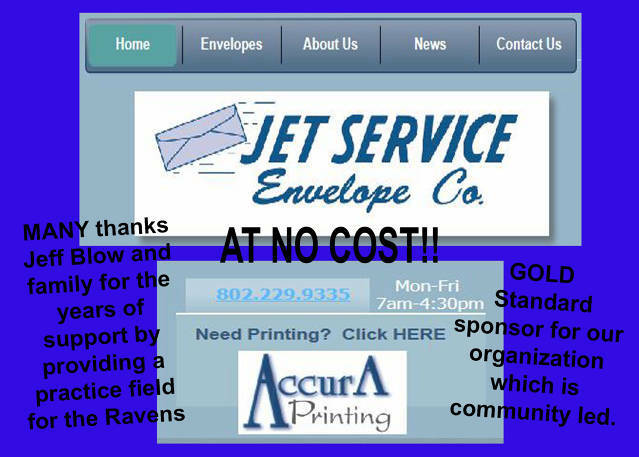 Please follow the link to their web site for more info or visit their facebook page. Two games were played up at the Barre Town recreation fields next to Barre Town School. Barre "Stuff a Truck" charity drive for the holiday's. l to r - former player and original member Dave Halford, former player, head coach, and current owner Jim Buzzi, and current player and Captain Tyler Baker. 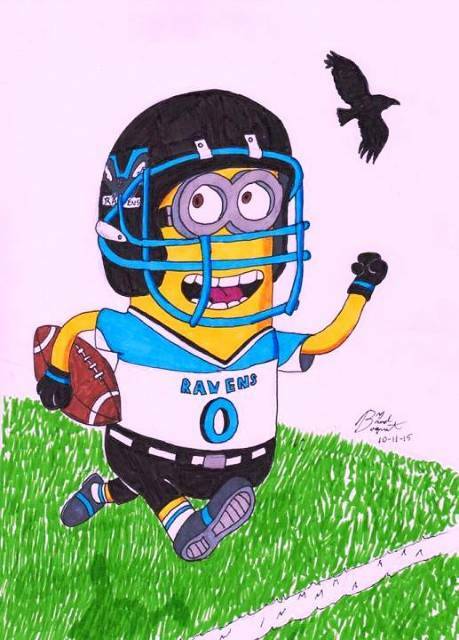 for creating our very own Raven minion!! 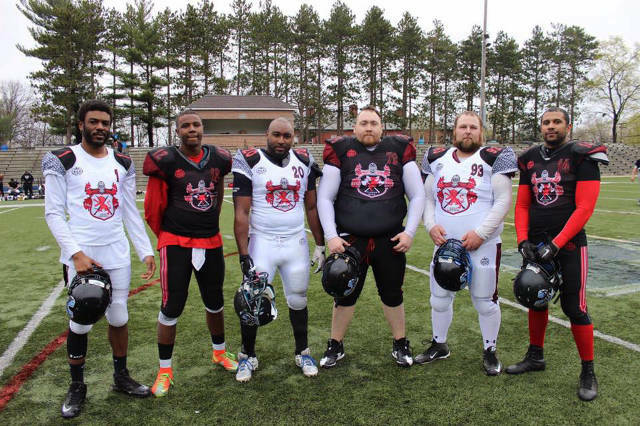 Raven All-Stars helped the North squad defeat the South! Complete album link here. 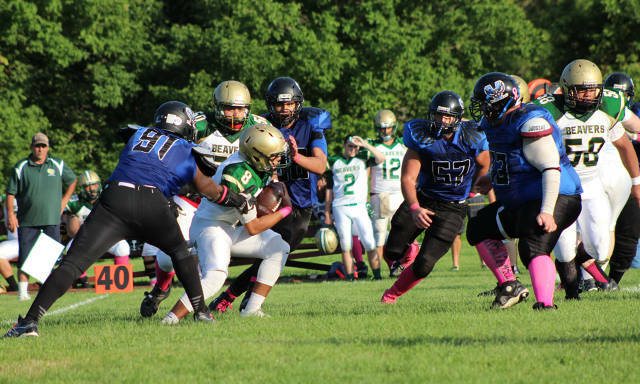 Team names All-Stars to represent in North vs South game. Storm win again in last seconds.